New Year’s Day this year marked fifty years of Samoan independence. It’s an important anniversary in any setting, but marking this victory feels especially important at this site. Overland, with its ‘temper democratic’ and ‘bias Australian’, draws on, and aims to contribute to, the anti-imperialist traditions of this part of the world, and contemporary Australia is unthinkable without the vibrant Samoan contributions to the multiculture of Sydney, Brisbane and the GC. Anniversaries matter as sites of memory, too, and test current political battles. Lest we remember: Jeff wrote here recently on Anzac Day as an opportunity for anti-politics, for organised forgetting. That’s at least a chance for contestation, though, and a spectacle around which to think through – and against – what Tom O’Lincoln calls the ‘national myth’ of Australia and the Pacific war. Some celebrations, May Day most obviously, decline and revive with the fortunes of the wider labour and socialist movement. More thorough forms of forgetting have been carried out around the legacy of the Samoan struggle, though, and Jeff’s post prompted me to think about Anzac forces of occupation in the context of this wider process of the erasure of historical memory. If ‘our’ freedoms were forged at Gallipoli and on the Kokoda Trail, what happened to those freedoms as part of genuine, ongoing occupations? (Given both Australia and New Zealand’s role in the devastation of Afghanistan, the question is not without its own urgency and polemical relevance). I live in New Zealand, the country most responsible for Samoa’s exploitation and colonial oppression; in the Palagi world at least, the anniversary of independence has gone almost wholly unremarked. There’s a smugness to this, a too-hasty desire to assimilate Samoan experience into an account of New Zealand ‘multiculturalism’, Auckland as a world Pasifika city and so on. But there’s also an obvious – and damaging – political project organising this forgetting: if talk of the ‘international community’ enjoys the support of everyone from the Liberals to the Greens, reminders of local imperialist ventures, however small the scale, fit no mainstream narrative. Some of the stray details of this story offer encouragement to our work now as well. The archive around Samoa and the complications of the occupation of Japan provide plenty of material revealing what should be considered terrible historical wrongs. There are fragments for a future anti-imperialist tradition, too. That said, even in an era when Australia and New Zealand were far more isolated than they are now, there were networks of writers, activists and campaigners aware of their internationalist commitments, and the complexity of Pacific politics, in ways that would put many of us to shame. The presence of Hone Tuwhare, the great communist poet, in the occupation of Japan shows also the intellectual and political conflicts occupation can generate. It’s the kind of memory most commemorations of the Anzac spirit work now to repress and forget. New Zealand troops were sent to occupy Samoa from the start of the First World War, replacing German colonists who offered no military resistance. For the Samoans, the situation was grim: New Zealand occupation was, inevitably, the standard mixture of authoritarianism, racism and arrogant incompetence. Around a fifth of Samoa’s population died during the great influenza pandemic following the war; in November 1918 NZ officials had allowed a ‘flu-carrying ship’ to dock in Apia, a slackness all the more reprehensible when we remember that, by this stage, influenza was a notifiable disease in New Zealand. 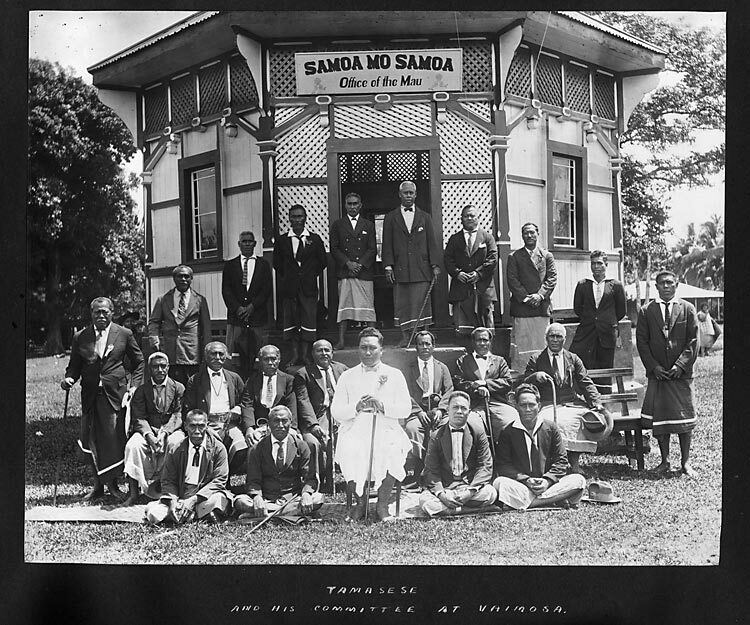 Colonial administrators, decked out in military uniforms and practicising Anglo-swagger, pondered the difficulties of preparing Samoa for a state in which it could earn the right to independence, all the while disparaging the actual accomplishments of this highly literate, organised society. Australasian paranoia about race was imported, too, as Chinese in Samoa faced segregation and legislated prejudice. Samoan resistance organised through the Mau, a mass movement building popular resistance to New Zealand rule. 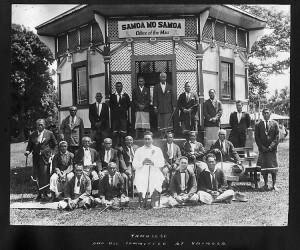 O le Mau a Samoa – the ‘firm opinion of Samoa’ – became, from the late 1920s, a growing force on the island and was close to being an alternative power. Through this period the Mau organised boycotts, mass demonstrations, propaganda campaigns, newspapers. The government responded by deporting ‘half-caste’ campaigners to New Zealand, and bans, curfews and self-deluding assurances that the natives would be content once separated from agitators. At the present moment he [the Samoan] is in the position of a sulky and insubordinate child who has deliberately disobeyed his father, as the administrator is generally termed, and no peaceful persuasion will induce him to submit. There is no alternative, therefore, but to treat him roughly … force is the only thing which will appeal to the Samoan. and your wife told them you were gone. that no one has told me about. One of those pairs of eyes Mason knew belonged to his friend: comrade, boilermaker, Communist and poet, Hone Tuwhare. 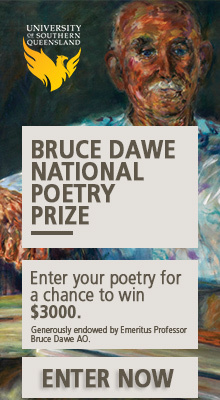 Tuwhare, one of the region’s most important poets, was part of J-Force, New Zealand’s occupying force in post-war Japan. The ironies of his situation show just some of the political work historical memory needs to do. It was Japan, and the experience of the atomic bomb, which inspired from Tuwhare his great anti-war poem ‘No Ordinary Sun,’ a canonical piece of oppositional, engaged literature. It is Japan’s ‘success’ as an (ostensibly) open and democratic society that appears as evidence in many a case of boosterish talk for current occupations and it is, with tragic irony, in Japan that Tuwhare took part in one of the most carefully forgotten, and ongoing, moments of Anzac colonial destruction. We didn’t really hurt anybody, but we tried to repatriate the Koreans, whom the Japanese had used as cheap labour for their war industries and so on … But some of them didn’t want to go back! They had higher living standards in Japan and had got quite used to living there and maybe had set up liaisons with the Japanese people. So that was another problem. By law, that was our job, to round ‘em up and put them back to their own country. And some didn’t mind going back – they wanted to see their homeland, of course, which was natural. But there were some – individuals – and I’m talking about a minority. So these were the ones that caused a bit of trouble. What Tuwhare is describing is his involvement in one of the great unknown forced transfers of people to have marked Pacific history. US occupying forces – and the Japanese ruling class they were so anxiously, hurriedly rehabilitating – were obsessed with the menace of Korean social activists, figuring them, in US official Nick Collaer’s words, as part of a ‘vast international conspiracy … a substantial percentage of the [Koreans in Japan] … are active communist agitators or rank-and-file members of subversive organisations.’ In order to break Korean activism, then, the occupying forces embarked on a project of mass repatriation. The consequences are with us to this day: many Koreans families now in the DPRK were forced there from a Japan in which they had relatives and wished to stay. Many political and democratic groups were broken in the name of ‘security’. Many loved ones were separated – in a process the Korean War would soon make permanent – by arbitrary and bureaucratic decisions about who was to be kept and who deported. A final imagery for Anzac memory here: what this soldier is describing is a detention centre, something Australian readers will be very familiar with by now and which may yet spread. Yesterday’s news announced that the New Zealand government planned to borrow, almost to the letter, Australian anti-refugee laws. The main detention centre established in Japan to contain and deport Koreans was at Ōmura, on the road to Nagasaki. It’s still there, and still functions as a concentration zone for refugees. Tessa Morris-Suzuki calls it an ‘east Asian’ version of the concentration camps; it may as well now be described as an ancestor of Woomera and the other terrible jails built across Australia. I know Ōmura, with family not far from its base, and think about these forgotten connections each time I’ve driven past. These are some of the unfreedoms for which the nameless ‘they’ may well have died. Comrades! Brethern! Citizens of Korea! Honourable brethern subjected to humiliation! Comrades! Brethern! 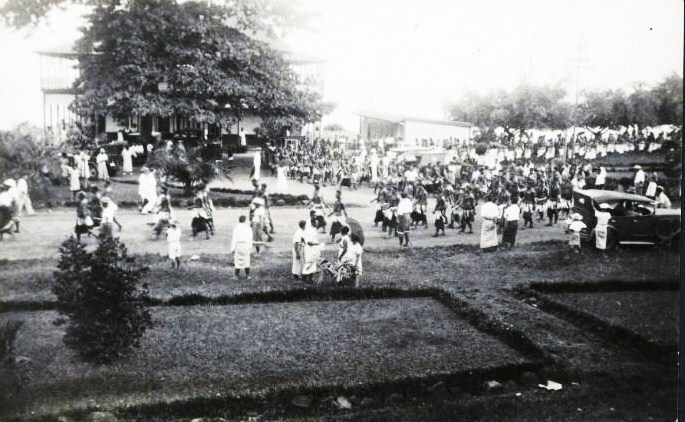 Citizens in the Ōmura Camp! Tuwhare’s comment on J-Force is from Janet Hunt, Hone Tuwhare: A Biography (Godwit, 1998). The other details of Korean deportation are from Tessa Morris-Suzuki’s Borderline Japan: Foreigners and Frontier Controls in the Postwar Era (Cambridge, 2010), a brilliant and quite moving history. 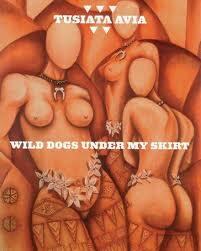 Tusiata Avia’s poem comes from her 2004 collection Wild Dogs Under My Skirt (Victoria University Press), and RAK Mason’s sonnet is from his Collected Poems (Pegasus, 1962). Michael Field’s Mau: Samoa’s Struggle Against New Zealand Oppression (1984) is the classic account, and it is from this text that I’ve drawn my details here.